Are you concerned about who you'll be sitting next to on your next flight? A Dutch airline wants to remove the uncertainty by letting you use Facebook to choose your seatmates. Traveling by plane is pretty unpleasant these days, thanks to the crowds, the general lack of comfort, and the hassle of airport security. However, KLM Royal Dutch Airlines is about to kick things up from "unpleasant" to "borderline creepy as Hell" with a new feature that will let passengers choose their seatmates by checking out their social media profiles. 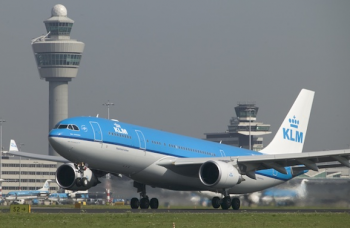 Dubbed a "meet and seat" feature that's set to launch next year, KLM announced the project last week. Basically, passengers can link to their profiles during check-in, which will allow them to choose who they wind up sitting next to. Other details are still being kept vague, though KLM will presumably reveal more closer to launch. The LA Times points out that this isn't the first time such a service has been utilized. Another group called Planely allows you to create an online profile that's linked to your other social media accounts (including Facebook, Twitter, and LinkedIn). After that, you provide your flight information for any upcoming trips and then choose a flying buddy to "make arrangements to sit together on the plane, have a coffee on the ground or share a cab home." Third party groups like Planely are one thing, since you have to actively sign up for that kind of service. Presumably, KLM's feature will be optional, but it seems like it has "invasion of privacy" written all over it.